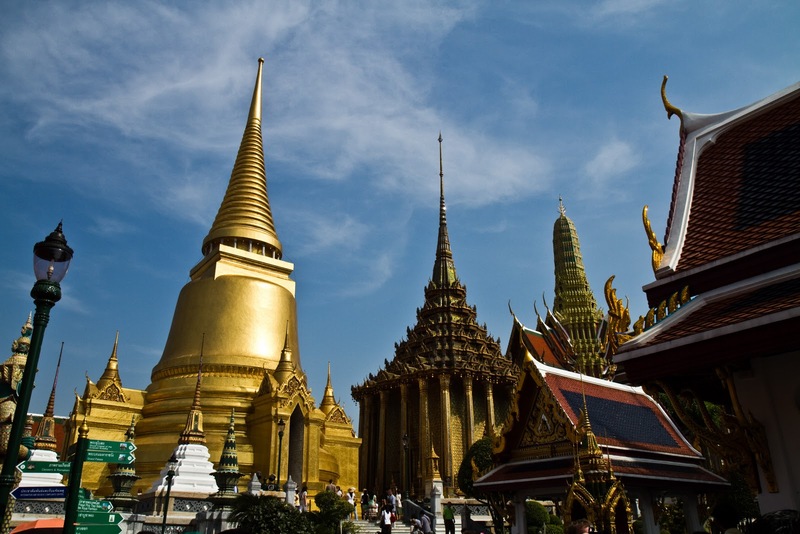 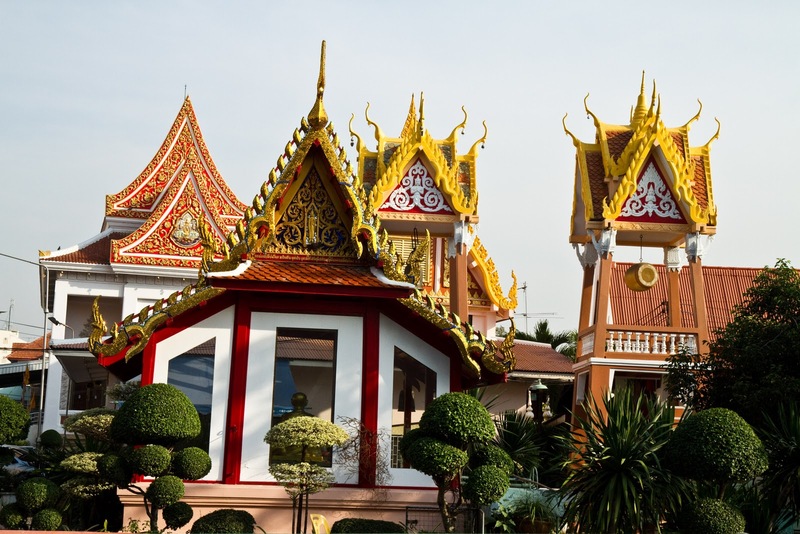 Bangkok is the capital city of Thailand and also called the city of angels in Thai. 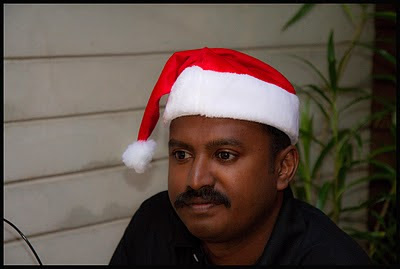 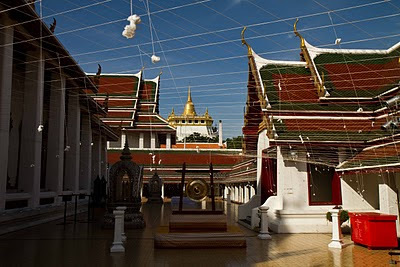 I visited this fascinated city in December 2010. I stayed in a unique place called suk11 hostel. 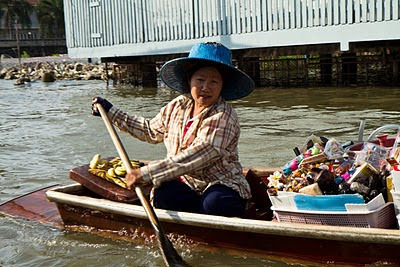 Suk 11 lobby...Breakfast was simple & delicious and rooms were clean with Aircon. 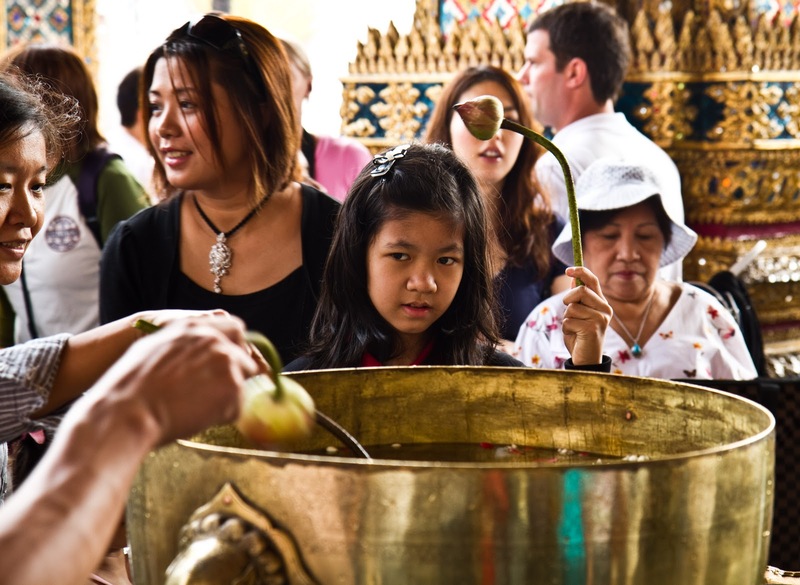 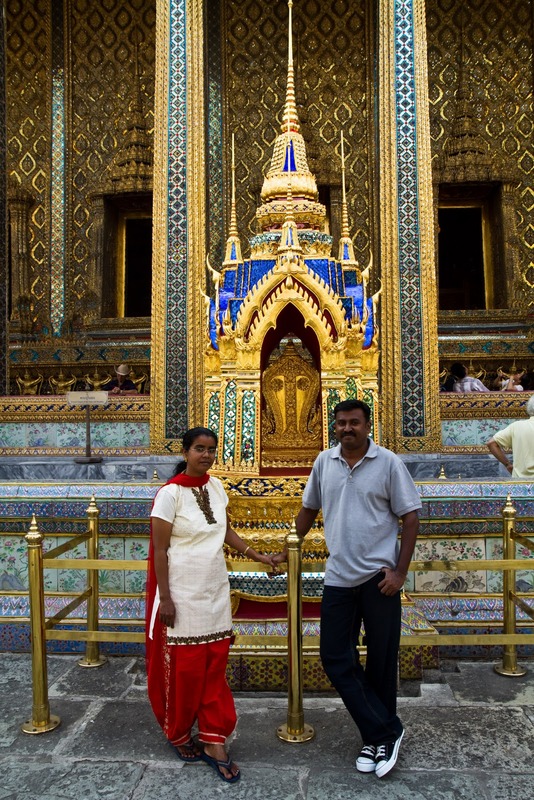 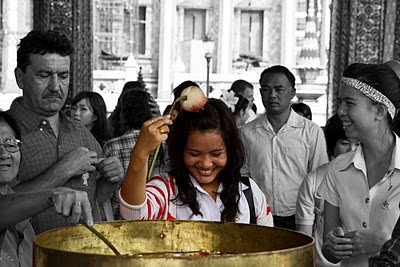 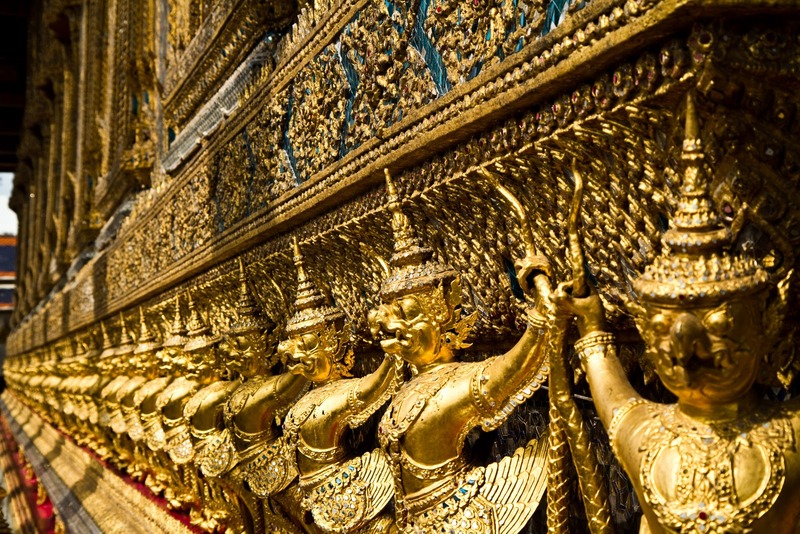 Wat Phra Kaew (The temple of emerald Buddha) is regarded as the most sacred Buddhist temple in Thailand. 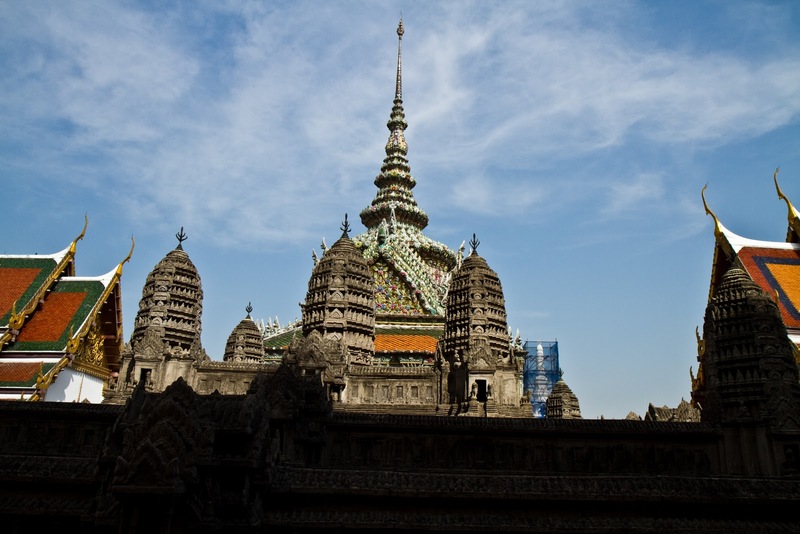 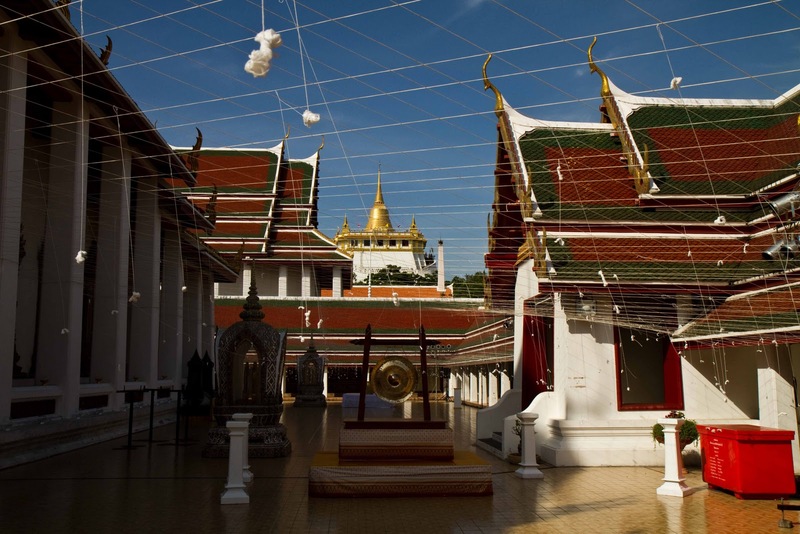 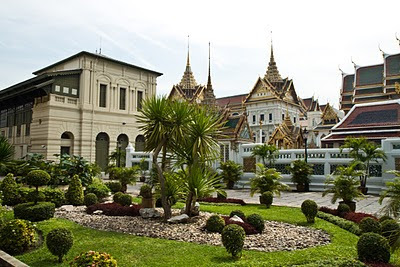 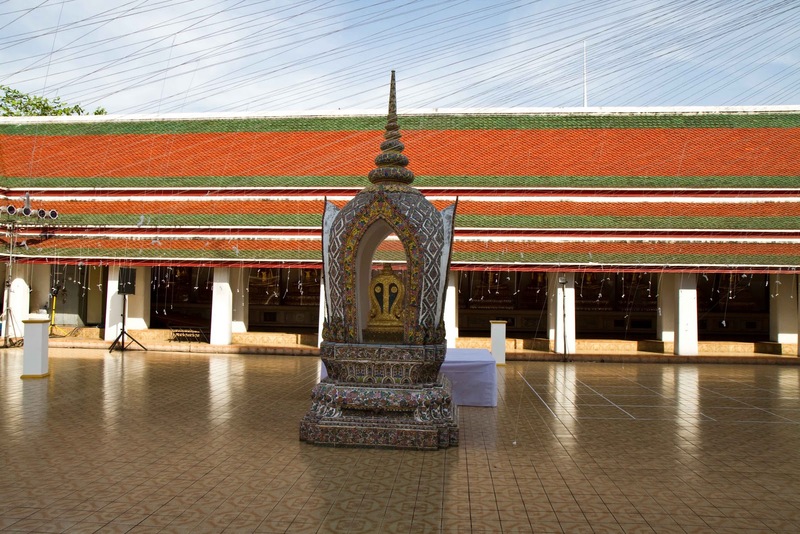 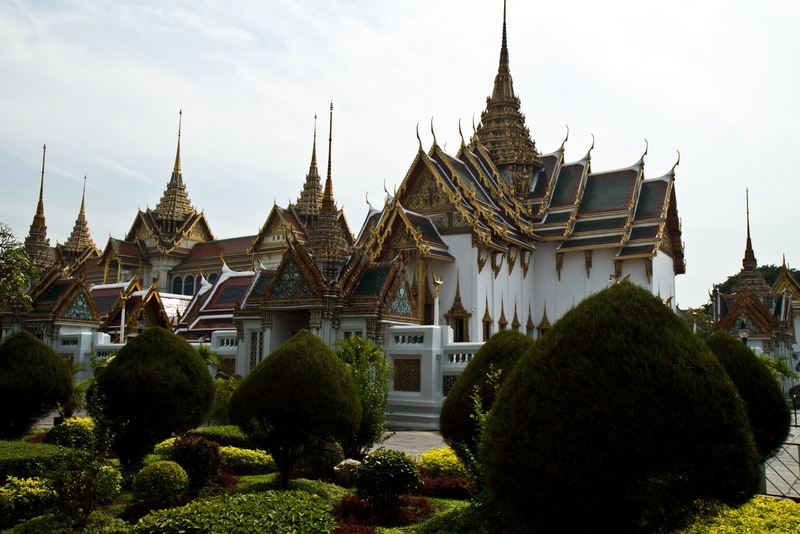 The main building is the central ubosoth, which houses the statue of Emerald Buddha. 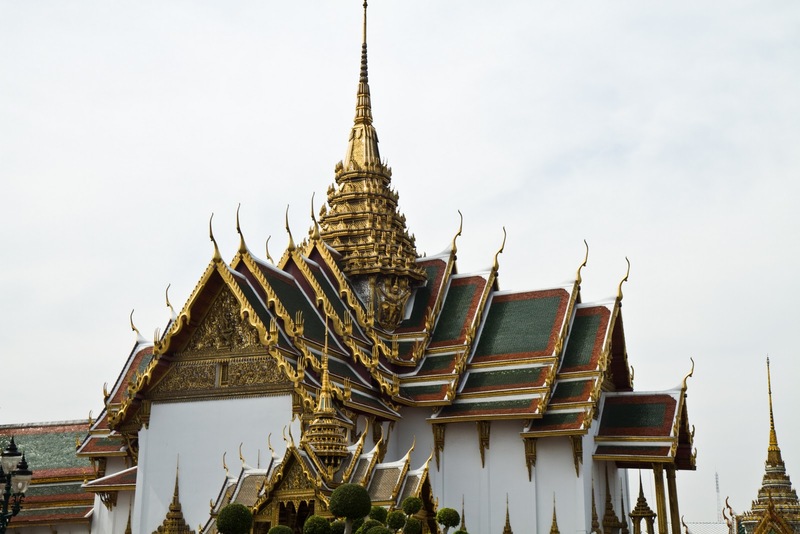 The Emerald Buddha, a dark green statue, is in a standing form, about 66 centimeters (26 in) tall, carved from a single jade stone. Kinnara is a paradigmatic lover, a celestial musician, half-human and half-horse (India) or half-bird (south-east Asia). 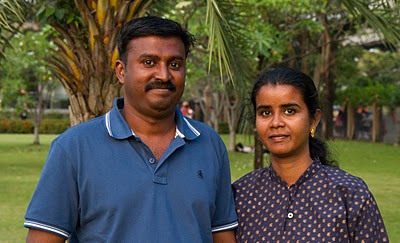 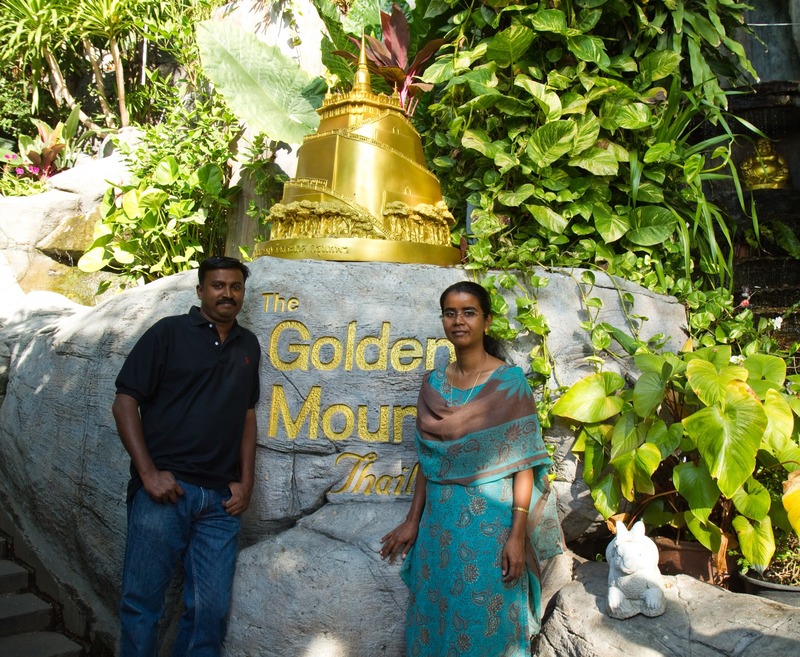 The entrance is guarded by a pair of yakshis (mythical giants – 5 metres (16 ft) high statues). 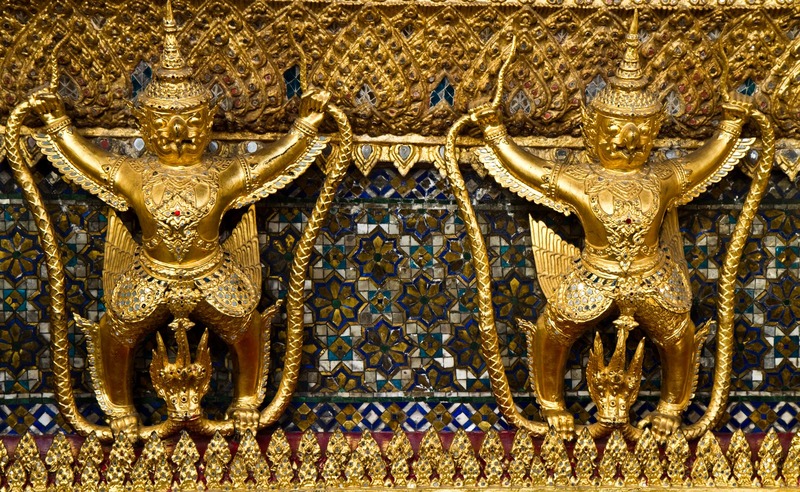 The pedestal on which the Emerald Buddha deified is decorated with Garuda (the mythical half-man half-bird form, a steed of Rama, who holds his mortal enemy Naga the serpent in his legs) motifs It is central to Thai Buddhism. Wat Pho is the largest Wat in Bangkok and it is famous for the huge Reclining Buddha statue. 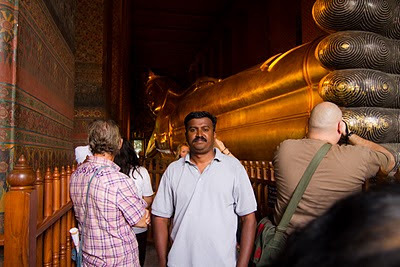 The highly impressive gold plated reclining Buddha is 46 meters long and 15 meters high, and is designed to illustrate the passing of the Buddha into nirvana. 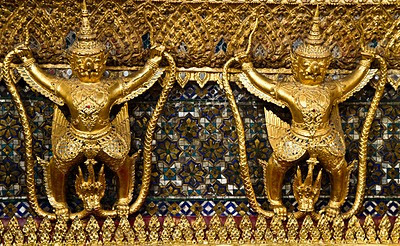 The feet and the eyes are engraved with mother-of-pearl decoration, and the feet also show the 108 auspicious characteristics of the true Buddha. 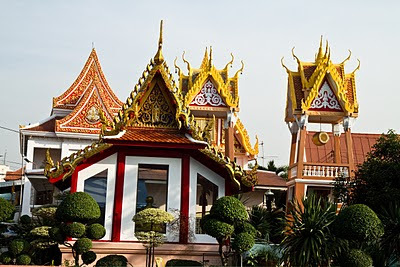 The Thonburi Snake Farm has a lot of snakes, crocodiles, and birds. 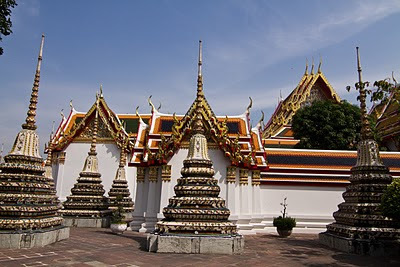 It is located near to Temple of the Dawn (Wat Arun). 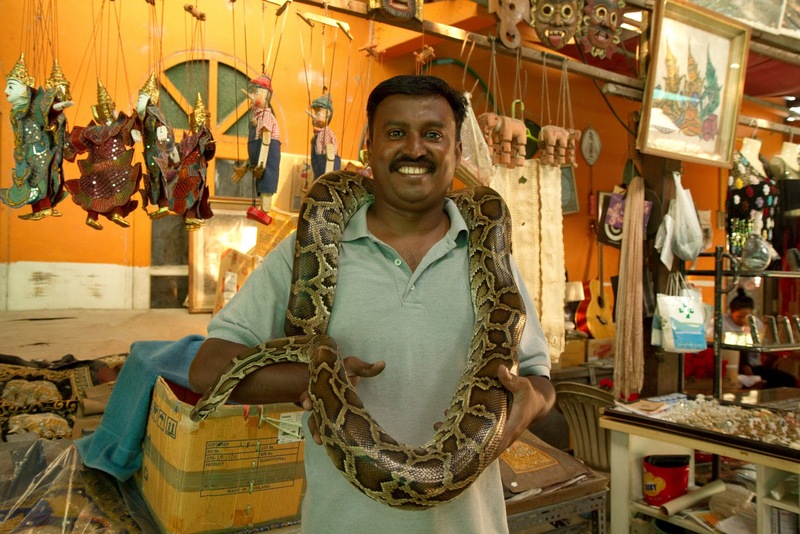 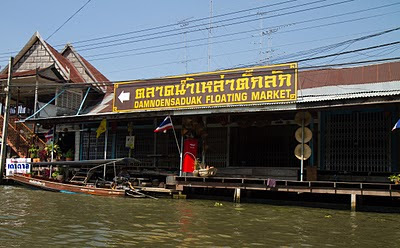 Thonburi Snake Farm, is accessible only by taking a rua hang yao (long-tailed boat) through the khlongs of Bangkok. 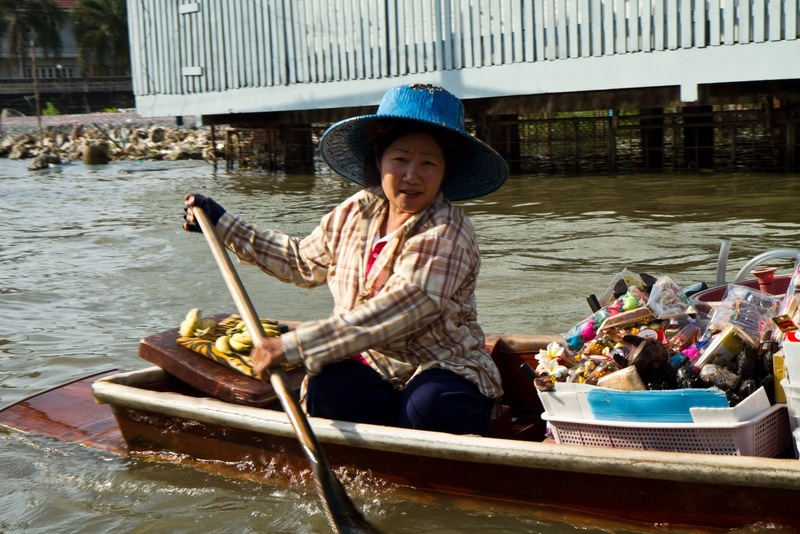 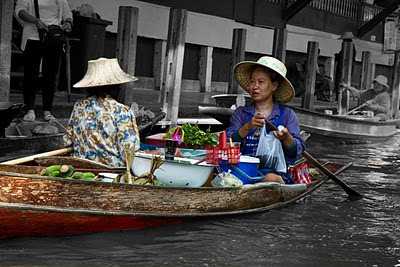 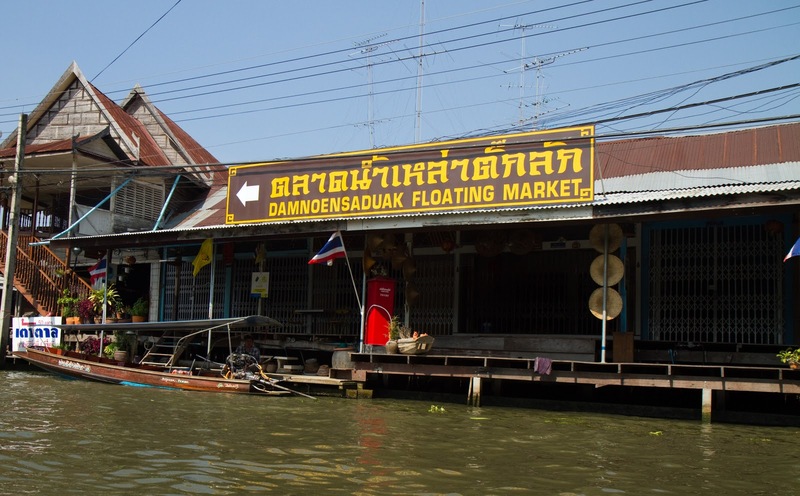 The most famous of the floating markets is Damnoen Saduak, about 100 kilometers southwest of Bangkok. The Golden Mount or Wat Saket temple, to reach the top you need to climb a 300 + steps. 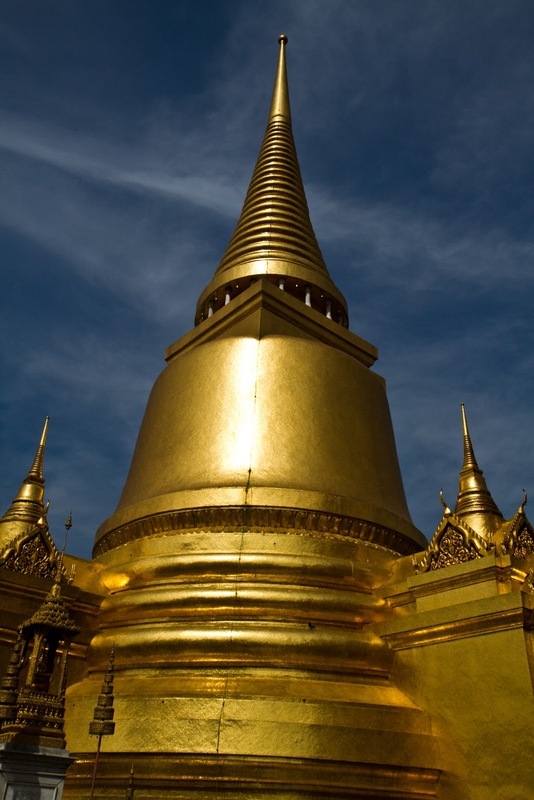 On the way up, you will see lot of bells in varying sizes, and also a gong. The chedi is swathed in red cloth which is made available for worshipers and visitors to write their names (in felt tip pen) upon, for good luck.